You don’t have to spend days thawing a turkey and preparing a feast to indulge in a delicious Thanksgiving dinner. Several Indianapolis area restaurants will be open on Thanksgiving Day and offering traditional turkey dinners and holiday-themed buffets. Perhaps unsurprisingly, many of the restaurants in town that will be open this year are upscale, national chains, or located inside hotels and resorts. 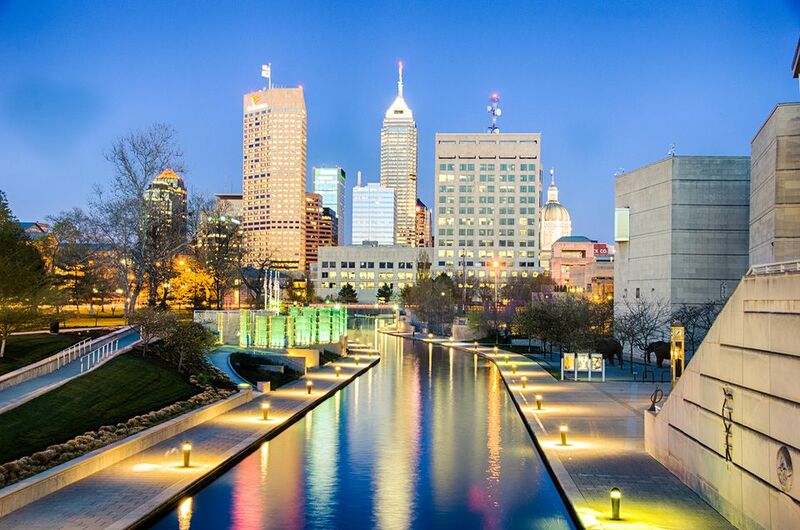 However, don't let the price or the location deter you from checking out some of these great Indianapolis restaurants; you can get some great meals eating out in the city and you don't have to clean up after the feast. Buca di Beppo makes it easy for you on Thanksgiving. This national chain of Italian restaurants has three locations in the Indianapolis metro area, each of which will be preparing a special holiday feast you can either take to-go or eat in the restaurant. Here, you can have your choice from traditional favorites like turkey and dressing or mix-and-match with Italian dishes. If you're hoping to order a feast to-go, make sure you reserve your meal at least two weeks in advance. Rated the number one restaurant in Indianapolis on TripAdvisor, The Capital Grille is a steakhouse located in the heart of the downtown area, inside the Conrad Hotel. On Thanksgiving Day, you can stop by for a traditional holiday menu featuring roasted turkey and all the fixings, with a bit of a gourmet, upscale twist. Book your table in advance for the holidays as space is limited and this popular eatery will probably be completely booked on Thanksgiving this year. Located a block from Monument Circle and within walking distance of the State Capitol, McCormick & Schmick's is a great destination if you're looking for an upscale restaurant to take a break from sightseeing in downtown Indianapolis. On Thanksgiving Day, this popular seafood chain eatery will allow you to choose between a traditional turkey dinner (and its accompaniments) or anything off the regular menu. Part of a nationwide chain of moderately-priced upscale restaurants, Morton's The Steakhouse's Indianapolis outpost is located in the heart of the Wholesale District of downtown. On Thanksgiving Day, Morton's won't be serving turkey, instead offering its full menu of locally-sourced steaks and savory sides. If you don't care about having a traditional meal, Morton's is a great choice, especially if you're traveling as it's within walking distance of the Conrad, Westin, Embassy Suites, Marriott, Hyatt, and Hilton hotels (among others). Thanksgiving is a great excuse for blowing some money on fine dining, and Ruth's Chris Steakhouse in downtown Indianapolis is a prime place to do that. Ruth's is serving a three-course Thanksgiving dinner featuring a starter salad or soup; the main course of roasted turkey breast, sausage and herb stuffing, and other sides; and a dessert of pumpkin cheesecake and vanilla ice cream. This Mile Square restaurant normally features an extensive menu of burgers, barbecue, grilled steaks, and a variety of American sides. On Thanksgiving, however, you can enjoy a traditional holiday feast with a slight twist: the turkeys are grilled instead of baked. This prix fixe menu is relatively inexpensive for a steakhouse, and you can also order separately from the bar during your meal. Grille 39 is located inside the Marriott Renaissance Indianapolis North Hotel in Carmel, Indiana, which is about 15 minutes north of the capital. If you want to save a bit of money on your trip—especially if you have a car—you can book a room at the Marriott and enjoy a Thanksgiving brunch at the restaurant in the early afternoon. Grille 39's Thanksgiving brunch includes mimosas or bloody marys, traditional holiday favorites like turkey and dressing, and live music. With plenty of seating in an open, roomy environment, Grille 39 is ideal for hotel guests, travelers, and smaller families. At Seasons 52, the emphasis is on seasonal food cooked over a wood-fire grill or roasted in a brick oven. That sensibility will be front and center on Thanksgiving when you'll be served a traditional holiday turkey dinner with herb stuffing and Yukon Gold mashed potatoes followed by pumpkin pie for dessert. Located in the Fashion Mall at Keystone in northeast Indianapolis, Seasons 52 is a roomy establishment perfect for a large family—just make sure to book your reservation far in advance. With locations in Atlanta, Baltimore, Boston, Dallas, Denver, New Jersey, Houston, Minneapolis, Orlando, San Diego, and Washington, D.C., this limited chain has become a nationwide favorite for excellent seafood and service; in 2016 and 2013, it was ranked one of the Top 25 Restaurants in the city by Indianapolis Monthly. On Thanksgiving, you can feast on oven-roasted turkey roulade, sage cranberry stuffing, and cranberry chutney, or you can order off the regular menu. Located across the street from the Fashion Mall in northeast Indianapolis and lead by Executive Chef Kevin Dehebeard, Fleming's Prime Steakhouse & Wine Bar is serving a prix-fixe feast on Thanksgiving Day. Your table will get an amuse-bouche to share, individual soup or salad, turkey and all the trimmings, and dessert. If you're traveling with children, Fleming's also allows kids under 12 to order off a special menu prepared just for them.